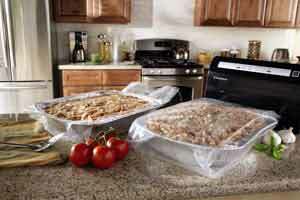 Works with FoodSaver heat-seal vacuum sealing systems. FoodSaver's revolutionary expandable bag is the ultimate solution to your extra-large food-storage needs. Now you can store things you never could before like large casserole dishes, savory roasts, homemade pies, and more. The 11-inch by 16-foot heat-seal rolls help you to create custom-sized bags of any length, so you only use exactly what you need. Built-in side pleats allow the 11-inch-wide bag to expand up to 14 inches high, easily accommodating large cuts of meat, roasts, and more, effortlessly. 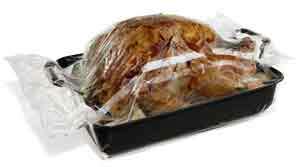 Vacuum seal foods prepared ahead of time, then cook and serve without sacrificing freshness. You can even transport dishes right in their pan with no mess or fuss. 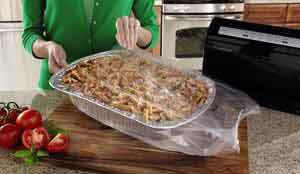 To use, simply measure out the amount of material needed, seal one end using a FoodSaver heat-seal vacuum sealing system (sold separately), add food to the bag, insert the open end in the machine, and it takes care of the rest, removing all the air before using heat to create an airtight seal. The FoodSaver bags feature a unique multi-layer BPA-free material with specially designed channels that allow for the complete removal of air. By removing all of the air inside the bag and creating an air-tight barrier around foods, the durable bag material effectively prevents stored items from getting freezer burned. The reliable material locks in freshness and prevents freezer burn and spoilage. 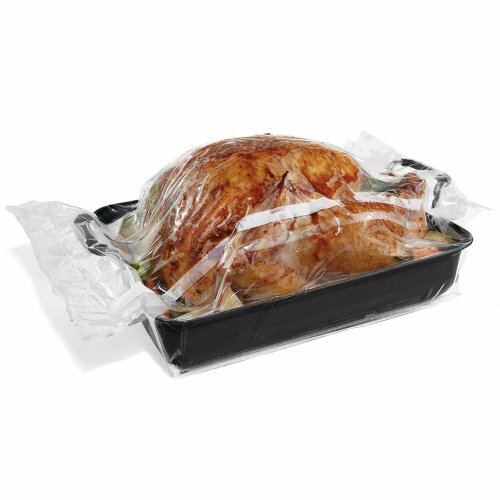 As always, the FoodSaver system keeps your food fresh up to five times longer compared to other storage methods (like zipper bags, foil, plastic wrap and containers) and helps you save up to $2700 a year by buying food in bulk, purchasing on-sale food items, and not having to worry about freezer burn or wasted food. FoodSaver provides a range of vacuum sealing systems and an array of useful accessories like containers, jar sealers, and wine-bottle stoppers, as well as pre-cut freezer bags and rolls of bag material for creating custom-size bags. An effective and convenient food-storage solution, FoodSaver not only helps people save time, money, and food, but it also helps keep kitchens running smoothly and efficiently--perfect for busy families or for those who love to entertain. Note: Images may not reflect actual item. * than ordinary storage methods.